If you cannot find an answer to your question in our FAQ section, please feel free to email us at Customer_Service@Crochet-World.com or call us toll free at (800) 829-5865. 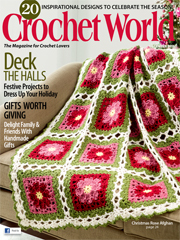 If you cannot find an answer to your question in our digital subscription FAQ section, please feel free to e-mail us at Customer_Service@Crochet-World.com or call us toll free at (800) 829-5865. 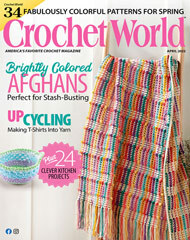 Crochet World strives to provide the best quality products available at an affordable price. You can help us to keep our prices down by reporting incidences of copyright infringement such as scanned copies of our patterns available online, via e-mail/lists or on digital media, selling or trading of copies of our patterns or pattern books, etc.